Motorists and cyclists need to learn to share the road and look out for one another. Nationally there was a 64 percent increase in people using bicycles to commute to work from 2000 to 2012 alone. 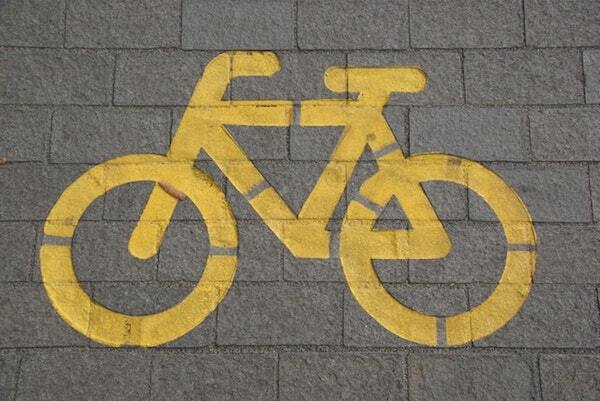 That means more bike traffic and more potential risk for injuries. Bicyclists and drivers alike are obligated to follow the rules of the road. Both have a duty to exercise ordinary care in regards to their own safety and that of others on the road. As with other vehicle accident lawsuits, bicycle accident lawsuits are governed by state law, and often tailored by state and local traffic laws. Left-hand turn accidents: Washington state law clearly states that motorists must yield to oncoming cyclists when making a left-hand turn. However, this is still one of the more common bicycle traffic accidents. Motorists may not see the cyclist or may be distracted, but either way, these crashes can seriously injure or even kill the unsuspecting cyclist. Right cross accidents: This occurs when a car exiting a driveway, parking lot, or side street pulls out and either hits the bicyclist or forces them farther into the roadway. Right hook accidents: This is an extremely common type of bike crash. This happens when a car passes a bicyclist on the left, then makes an immediate right turn in front of the bicyclist. The cyclist usually has no choice but to slam into the vehicle or swerve into flowing traffic. Dooring accidents: When a parallel parked car’s door opens right in front of a bicyclist, forcing them to hit the door or go into the path of a moving car. Also called a “car door” crash or a “door prize” accident. Rear-end accidents: Unsuspecting bicyclists may be forced out to their left and into the path of a driver that hits them from behind. In other cases an aggressive or reckless driver may intentionally hit a bicyclist from behind. Hit-and-run accidents: Bicyclists involved in a collision where the driver of the vehicle leaves the scene of the accident usually suffer serious injuries or death. By fleeing from the scene, bicyclists may not receive medical treatment that could save their life. Accidents can occur for a variety of reasons. When injuries or death occur after a bicycle accident, holding the parties responsible through the civil justice system is the only way for victims to get something back. 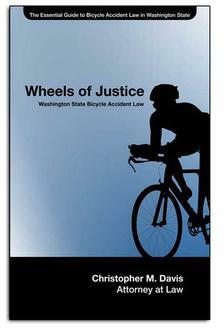 If you or a loved one has been involved in a Washington state bike crash, consult with a lawyer to talk about your legal options. There is no way for a cyclists to prevent all accidents, even when they are proactively looking out for their own safety. When these accidents happen, because of the nature of the accident, there is a good chance that they may sustain injuries. Having attorney Chris Davis and the experienced legal staff of Davis Law Group, P.S., on your side can make a big difference when it comes to obtaining fair compensation for injuries. Having someone that can negotiate with the at-fault driver’s insurance company or even bring the case to trial if necessary can garner a larger monetary award for medical bills, lost income and other expenses caused by the accident. For a free case evaluation, contact our Seattle office today. Call (206) 727-4000, use the chat feature below or fill out the confidential form on the contact page to get started. "Your attention to my case has allowed me to focus on what's important to me, healing and recovery." -Steve H.